The meeting is around the coner, too!! What's the spotlight? FOLLOW ME!! 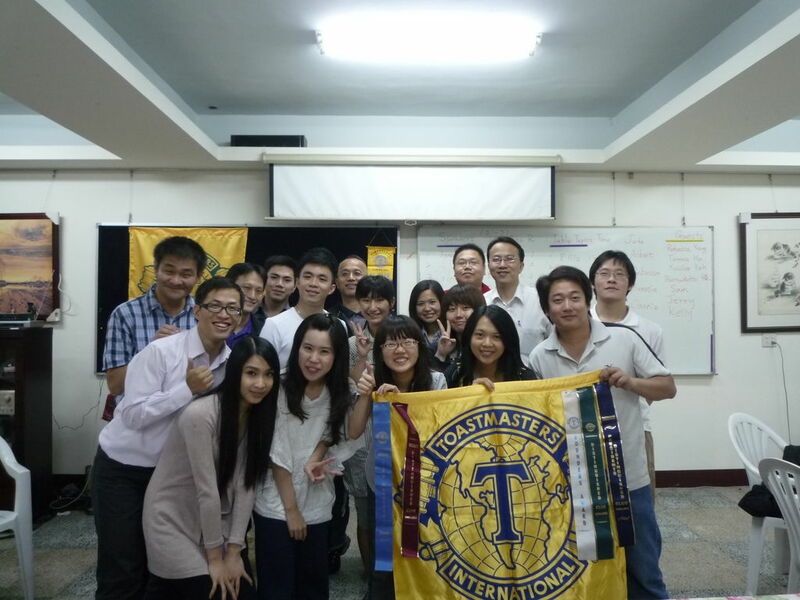 Hello my fellow Toastmasters and most welcomed guests. 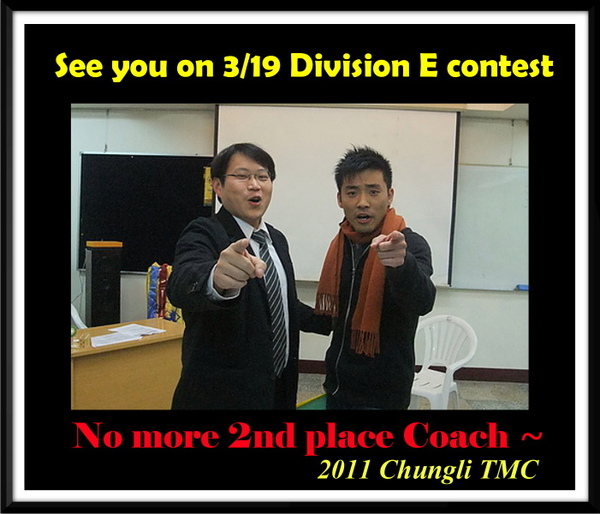 3/25 Chung Li Toastmasters Club Regular Meeting!! 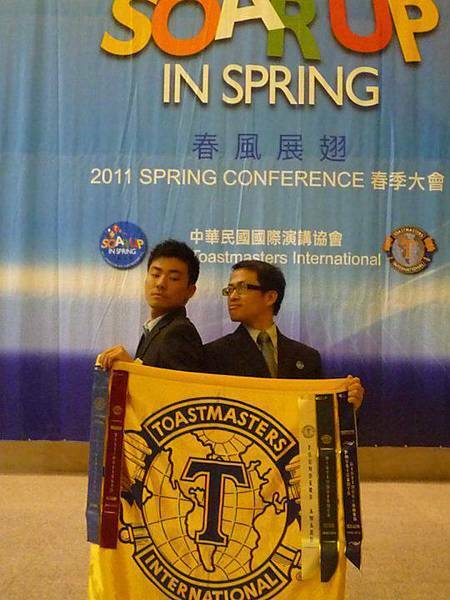 Welcome to attend our meeting together. This is the last meeting before Chinese New Year. Welcome to attend the last meeting of 2010. 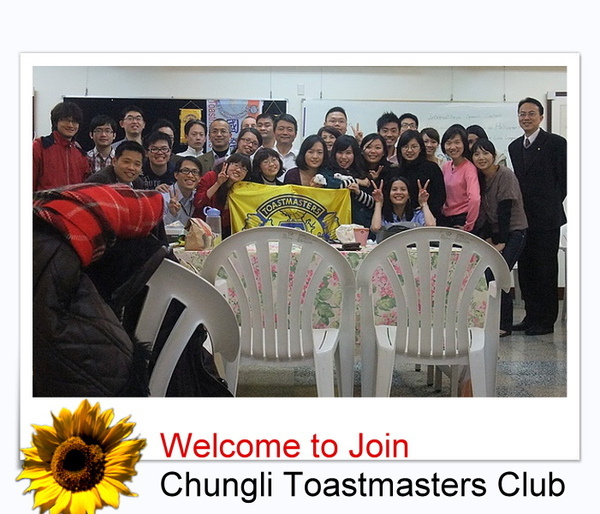 Toastmasters的幸福時光盡在 12/10 Chungli TMC regular meeting!! Welcome to attend X'mas party on Dec 18.